The head of the Mutahida Majlis-i-Amal (MMA), a radical Islamist group in Pakistan, delivered remarks Friday accusing Islamist Prime Minister Imran Khan of being a “Jew representative” seeking praise from the West by releasing Christian mother Asia Bibi. Maulana Fazlur Rehman told a crowd of supporters that his group had organized a November 25 protest calling for Bibi’s death. The Pakistani Supreme Court ruled that Bibi, who spent nearly a decade on death row for allegedly blaspheming against Muhammad, was innocent and should be freed immediately. Bibi and her family are currently in hiding in an undisclosed location in the country in response to violent riots following the Supreme Court decision calling for her death. The largest riots, which forced schools and businesses to close for days in early November, were organized by the much larger Tehreek-i-Labbaik Pakistan (TLP) party. The government responded to the riots by reaching an agreement with the TLP to allow them to appeal Bibi’s release, despite the Supreme Court’s being the court of last resort, and applying to ban Bibi from leaving the country. Supporters say Bibi will almost certainly die at the hands of a Muslim mob if a Western country does not grant her and her family asylum. A variety of countries – including Canada, the Netherlands, Italy, Spain, and France – have reportedly expressed interest in granting her asylum. The United Kingdom, citing its own Islamist population, reportedly declined to help her. While the TLP has called its members to stop rioting, the MMA has not. Rehman told his own supporters this week that the Bibi case was not a “legal issue,” but a conspiracy to bring Pakistan into the orbit of advanced secular nations, an unacceptable move for his party. Pakistan’s penal code delineates specific punishments for those who “blaspheme” against Islam. Insults against the person of Muhammad carry a mandatory death penalty, while more generalized blasphemy against Islam can result in a variety of prison sentences and fines. Blasphemy against other religions is generally permitted. While Pakistan rarely prosecutes blasphemy cases to completion, Islamist mobs often kill the accused before they make it to trial. Imran Khan became prime minister this year largely due to the support of Islamist groups, which he most recently appeased with the TLP deal to prevent Bibi from fleeing the country. The extreme wing of the radical Islamist constituency in Pakistan, however, has viewed Khan with distrust for years due to his first marriage to Jemima Goldsmith, a British woman of Jewish heritage who converted to Islam for the marriage. While the MMA and smaller groups continue to threaten riots if Bibi is not killed, the TLP has largely remained silent in the wake of her continued presence in the country. Prior to that agreement, however, TLP members rioted in Islamabad, Karachi, Lahore, and other major Pakistani cities, destroying private and public property and, in some cases, violently attacking known Christians. The rioters demanded the killing of Bibi, her family, her attorney, and the Supreme Court justices who acquitted her. Khan’s government has continued to assure radical Islamists that Bibi will not leave the country. Dawn notes that there is no legal basis for preventing Bibi from leaving the country. There is no legal basis for an appeal on a Supreme Court decision. 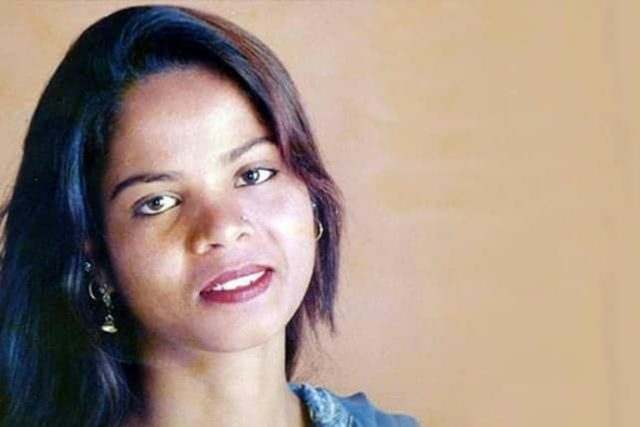 “Aasia Bibi is a free person and according to Pakistani law, her freedom of movement cannot be restricted. The foreign ministry’s reading of how a review petition impacts the enjoyment of fundamental rights is prohibitive and oppressive,” Reema Omar, an adviser with the International Commission of Jurists, told the newspaper.